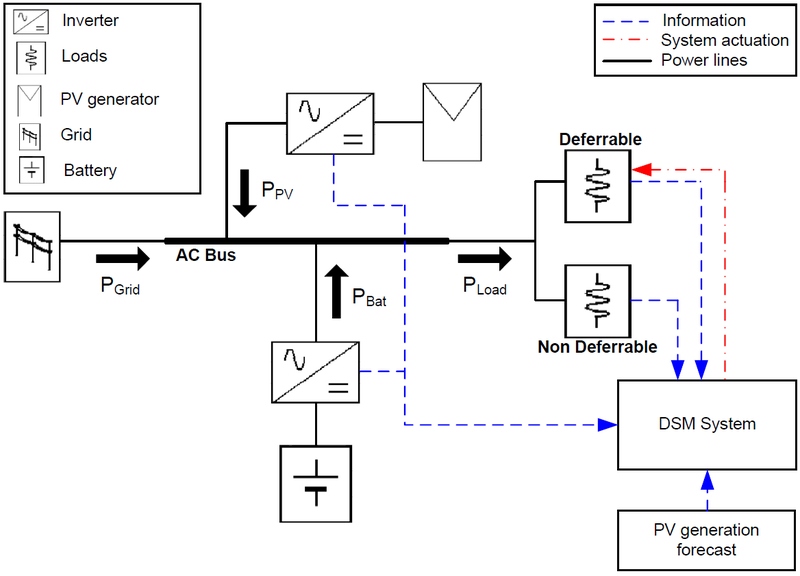 Demand-Side Management (DSM) is a set of techniques focused on modifying the way that users consume electricity from the grid. The goal of these techniques is to reduce the power consumption and increase the efficiency of the electricity grid. Typical lines of action are: i) reduction of energy consumption, ii) reduction of the power consumed during the peaks, iii) increase the power consumed during the valleys and iv) shifting peak consumption to off-peak hours. From the local perspective, any facility (e.g. house, building, factory) can implement DSM techniques to improve the grid. In our research, we have worked with local generation equipped houses (PV generator), local storage system and controllable loads. This allows a wide range of possibilities to manage the energy flows on the local facility. The algorithms for energy flow management on the local installation have been designed with the objective of maximizing the local energy self-consumption. The self-consumption of a system is defined as the percentage of energy consumed that has been supplied by local generation. We have designed, implemented, and tested DSM algorithms which control part of the consumption of a facility and maximize their consumption. We have also worked with the charge control of local storage systems, also with the aim of maximizing self-consumption. 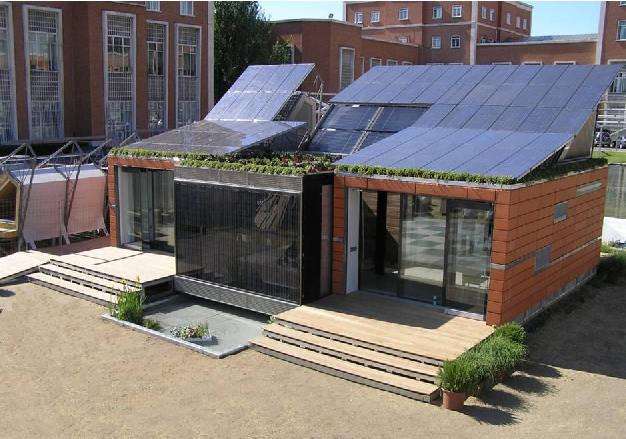 The developed algorithms have been implemented in a prototype self-sustaining house called "MagicBox" with which the Universidad Politécnica de Madrid first participated in the international "Solar Decathlon" competition. This house is equipped with the usual appliances of a highly electrified home: washer, dryer, dishwasher, refrigerator, oven, air conditioning, lighting and various electronic devices. This has allowed us to perform our studies in real situations.